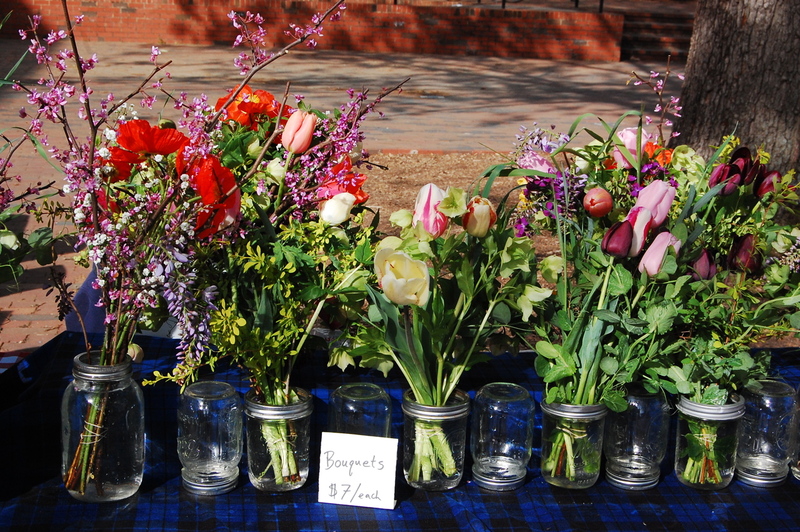 Here are some photos from our first market selling Spring Forth Farm flowers at a market on the UNC campus. 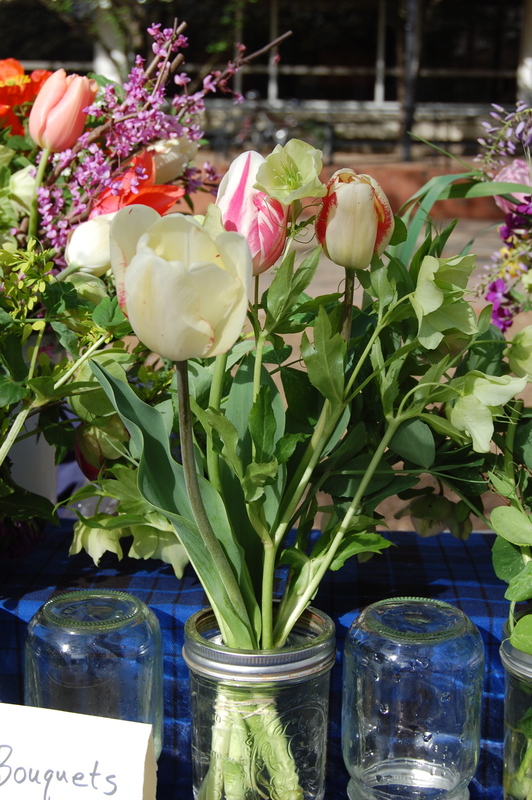 The market was a huge success, and we sold every bouquet and every tulip we brought! Next week, on April 25th, we will be setting up our flower stand from 6PM-9PM at the Last Friday Art Walk in downtown Hillsborough. 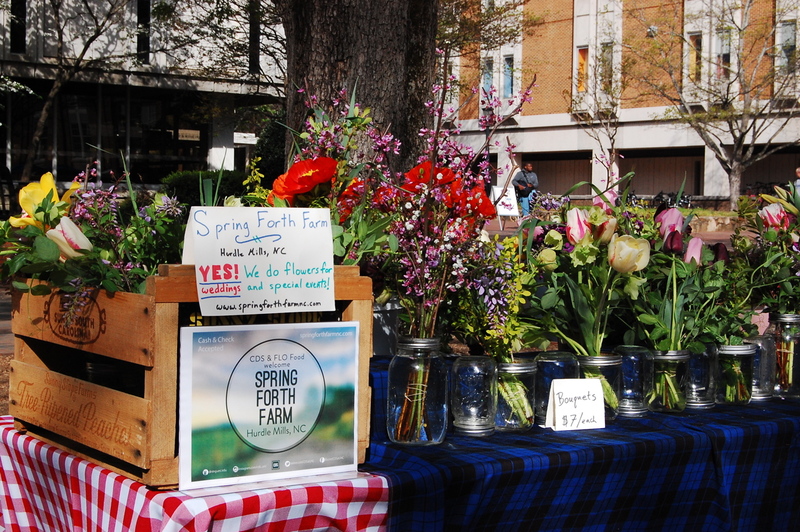 Spring Forth Farm flower stand at FLO/CDS spring 2014 market at UNC. We started with a full stand. Spring Forth Farm bouquets for sale. 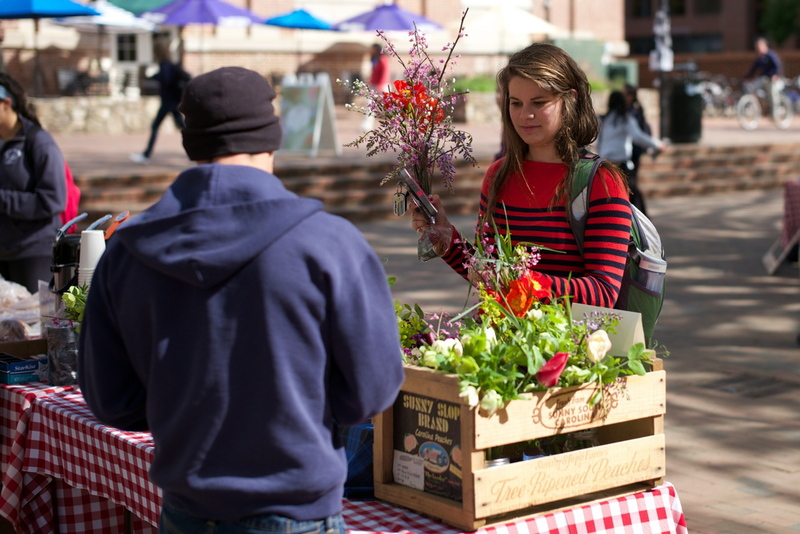 Selling a bouquet at the 2014 FLO/CDS market at UNC. Photo by Thomas Fisher. 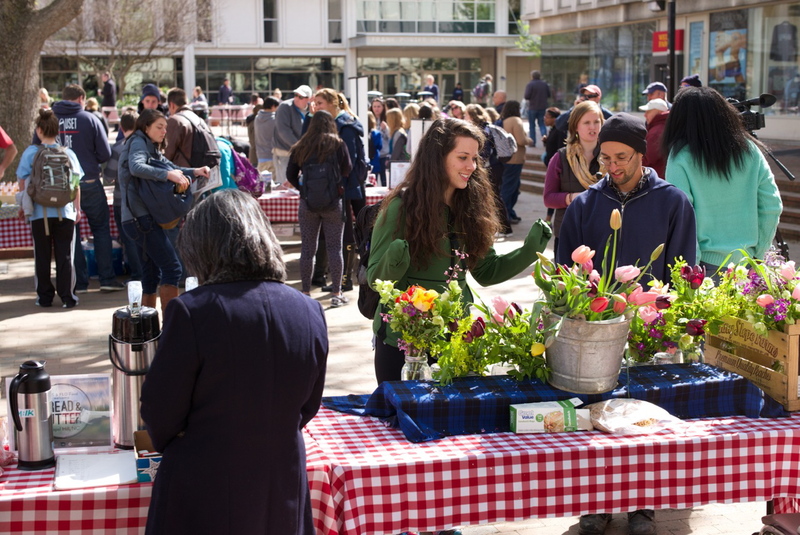 Our bouquets and tulips were a big hit with students and faculty. Jonathan talking to a customer. Photo by Thomas Fisher. 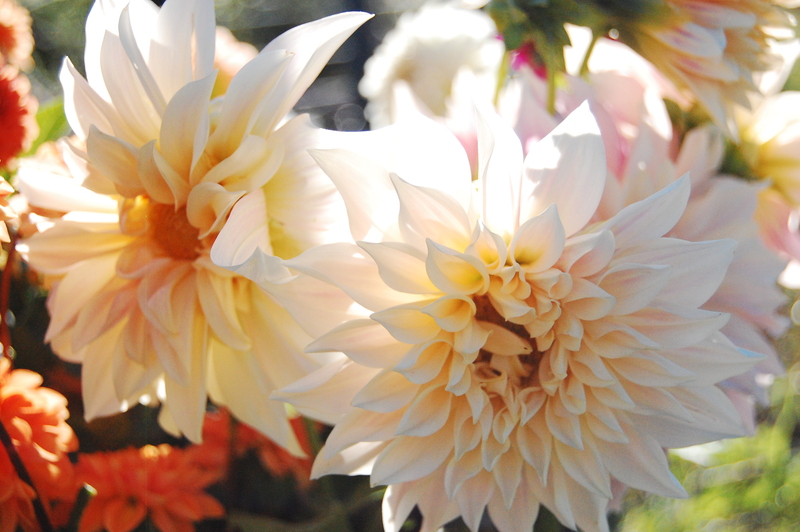 A Spring Forth Farm bouquet. We sold out! 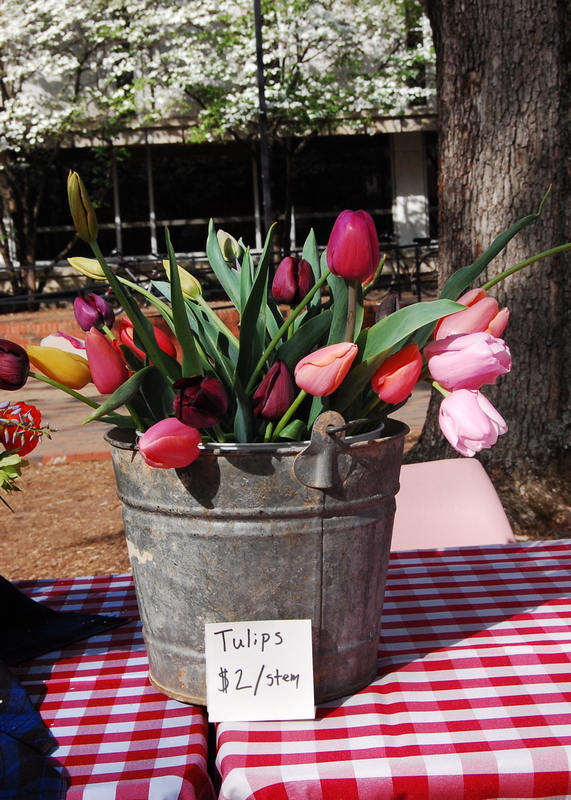 At the end, we had only three unopened tulips left, but they too were snapped up before the market ended, a perfect end-of-semester and Easter gift for mom. 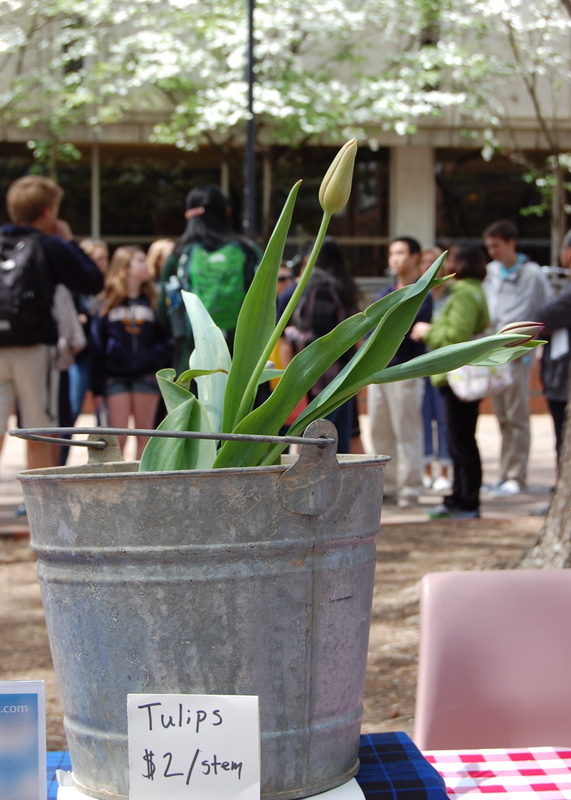 Almost sold out: Only three tulip buds left in the bucket. 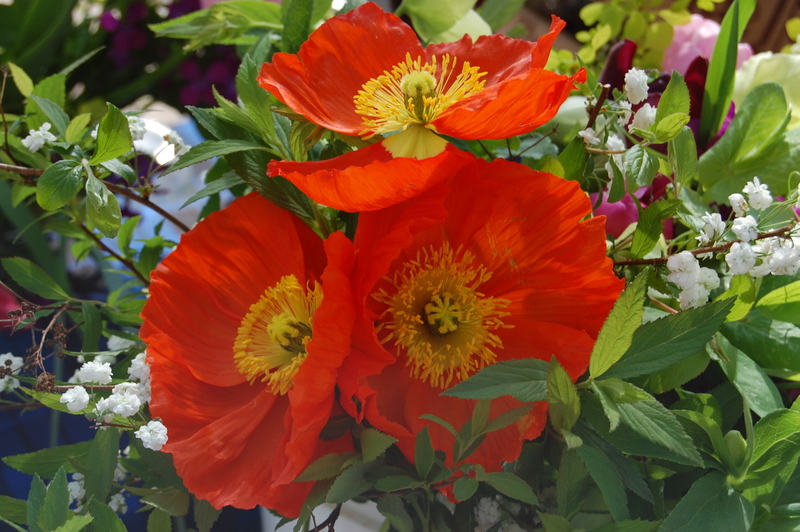 Don’t miss the next chance to buy Spring Forth Farm’s seasonal flowers, April 25th at the Last Friday Art Walk in downtown Hillsborough starting at 6PM. That’s fantastic!! Congratulations Spring Forth Farm! So jealous I couldn’t be there to buy some! Love this SO, so much! Yay! !